Harsh Wardhan is making bansuri flutes from A natural bass (very long flute of 115 cm! ), up to D sharp small (very small flute of 24 cm). 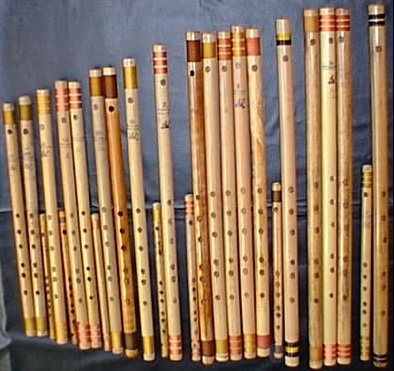 Every bansuri is made of quality seasonned bamboo from India. You may now get a new model of flute, with 8 holes (6 playing holes, one for the knee and an extra hole for perfect tuning balance between low and high octaves).